Is the Timing Right to Adopt a Rescue Dog? A key to any successful dog adoption is timing. When Marina’s health took a turn for the worse in November 2016, I was mourning the unexpected death of my brother two weeks earlier. Having to make the brutally difficult decision to help free Marina from her pain just about broke me. We knew it was the right thing to do. It wasn’t the first time we’ve had to make that decision, but it never gets easier. After that, I felt numb and knew I needed time to heal. The following May, I received approval for a total hip replacement. Like some of my previous companions, I have bilateral hip dysplasia. The surgery on my right hip took place in August 2017. The surgery and recovery exceeded my expectation. It was during my physical healing that the first twinges of the search for a new companion started. My body still needed to recover, but my heart was getting closer. My husband stayed home with me during the first week of surgery. I felt good about where I was in the process by the time he went back to work. Accepting help from others isn’t one of my strong points – something I’m working on. There were humbling moments along the way like getting used to using a walker while making three trips to get coffee, yogurt and fruit, to the table. This was when I missed Marina’s companionship the most. When she entered her golden years, she laid by my side while I wrote. Her presence was always calm and soothing. As soon as I could sit longer than 15 or 20 minutes, I was looking through dog rescue sites. It wasn’t until November 2017 that the timing felt right to move from looking at companions online to meeting them. My birthday was just around the corner when I booked an appointment with The Barking Lot (TBL) to view potential companions. Two things in particular I like about The Barking Lot is that they make home inspections before you meet any dogs. If you pass the home inspection, you’ll schedule an appointment to meet potential matches. The beauty of this is the ability to leave with your new companion on the same day. For rescue groups, this weeds out people that may not be the best fit and attracts people that understand the process, time, and commitment required for success. Rescue organizations like TBL work hard to make sure they’re putting dogs into the best environment possible when they’re adopted. To stay around and find forever homes for dogs in need, they have to run a tight ship. The application, interview and inspections can be a turnoff for people that in the past may have walked into a local shelter paid a $40. fee and left with a pet. I’ve always been an advocate of saving a life, however it happens. For our family, adopting through a rescue organization has been the first choice. The organizations we’ve worked with have always given us valuable insight about the companions we were considering. When they were young, they took into consideration the ages and activities of our children and how it might impact a particular dog’s temperament. Now that our children are adults, the suggestions for a good fit are based on our lifestyle. When we adopted Petey, we forged a bond with the wonderful people from Forte Animal Rescue. We’ve stayed in touch over the years, even after Petey’s passing. I’m sure it will be the same with TBL. It’s that level of caring and commitment that creates success stories. It brings absolute joy to create a safe space that allows your companion to flourish. Yes, it’s hard work and a commitment and it’s a lot easier when you know that it’s the right time in your life to do it. I’d love to hear your success stories – leave us a comment below. This is a challenging post. A year has passed since we said goodbye to Marina. She was a tough old girl, but her body just couldn’t keep up anymore. Her quality of life suffered and her pain was no longer controllable. We knew the most loving thing we could do was to let her go. We called Dr. Kristi Freeman, the same vet that helped us with Petey in 2013. It’s never easy to say that final goodbye, but it is a bit more bearable when you can do it in your own home. Just like Petey, Marina was surrounded with her family and lots of love. We were all there for her from puppyhood to her very last breath and I wouldn’t have it any other way. Much changed during that time. One of my brothers died unexpectedly two weeks before Marina passed. I knew I wouldn’t be ready for a new companion anytime soon. I gave myself time to grieve and let things unfold on their own. A year later, I found myself looking at dogs , or just taking a “peek” at rescue websites, I knew it would be a matter of time. The feeling that something was missing started about two or three months before we ended up bringing home our newest family member. Somehow, we’ve always “known” when the right companion comes along. This was no different. Kaida was rescued from the illegal dog meat trade in Southeast Asia by the Soi Dog Foundation (SDF). They in turn partner with other rescue organizations in the US to help find forever homes. Kaida spent a year in Vietnam with SDF and was brought into the states in October of 2017. She was destined for a horrific fate, and has the internal and external scars of a traumatized dog. 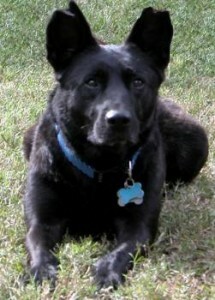 Thanks to the love, dedication, and compassion of SDF and The Barking Lot, we are able to give Kaida her forever home. There’s much more to share about Kaida’s journey, and I’d love to hear about your experiences with dogs that have had a traumatic past. It is with great sadness that I let you know of the passing of our dear, sweet Petey. Many of you started following this blog because of his battle with IMHA, and it’s similarities to Evan’s. It was not IMHA that took him, rather his tired body, and our desire to always return his unconditional love . For this reason, we made the most painful, yet responsible decision when it became clear that his qualty of life would no longer be what he deserved to have. Because we loved him, we did not want to subject him to a life of pain from advanced osteoarthritis and a now fragile and unforgiving body. We are heartbroken over the loss, but better for having had his love in our lives. We cannot thank Dr. Peter Slusser and the amazing team at VCA Animal Group for their outstanding care. It is because of their care and compassion that Petey pulled through his bout with IMHA. I give them my highest reommendation, and my utmost respect. If you know me, you know that is not something I give easily. Thank you Dr. Christine Wilson for referring us to Dr. Slusser. Our entire family would also like to thank Dr. Kristi Freeman, who, through her kindness, compassion, and dedication to animal companions, allowed Petey’s final moments to be filled with love and peace. Without a doubt, Petey’s second chance at life would not have been possible without Forte Animal Rescue and it’s volunteers Raquel Magro and Diane, who quietly work behind the scenes to create forever homes. It’s because of them, that the unwanted, forgotten and abused come into the lives of those lucky enough to be chosen to be their forever caretakers. Thank you for sending Petey your thoughts and prayers today. During a most difficult time, Dr. Kristi Freeman helped us give Petey the best farewell he could have possibly had. She is the kindest, gentlest person you could imagine and Petey took to her immediately, she even won Marina over and she is much tougher to win over. Since we were at home, Petey was very comfortable and had all of us around him. He was given a deep sedative/anesthetic and you could tell when he became pain-free, there was such a sense of peace. He was awake with us long enough to experience the relief of pain and know without a doubt that he was very loved. That love is the last thing that he was aware of. When he was in the deepest sleep, Dr. Freeman gave him the second injection and he was very peacefully released from his tired body. All I sensed, in every moment, was peace. It was the best one could hope for at such a difficult time, and the best send-off our dear friend could have had. His ashes will be back to us in a week or so, his love will never leave us. After some time at home today, we went to the ocean, it’s the place where Eddie and I both feel the most connected to the universe. As we were walking towards the sand, the very first thing we encountered was someone walking a big pointy-eared dog and the second thing we encountered was a man walking a dog who could have been Petey’s twin, big ears and all. It made my heart feel good to see him running. Maybe it’s just to make myself feel better, but I liked to see it as a sign that our Petey boy was free and happy again. They were the only dogs we saw our entire time there. And so it goes, our hearts break, but they are a little bigger for having had such a wonderful companion in our lives. Thank you both for all you do and thank you for giving us the opportunity to have Petey and his unconditional love in our lives.